[media-credit name=”Tiara Winata” align=”aligncenter” width=”711″] [/media-credit]“At least once a week, we have somebody reporting that their personal belongings have been tampered with,” said Jonathan Hart, the Assistant Director of Campus Recreation and Facilities Management at the CRC. 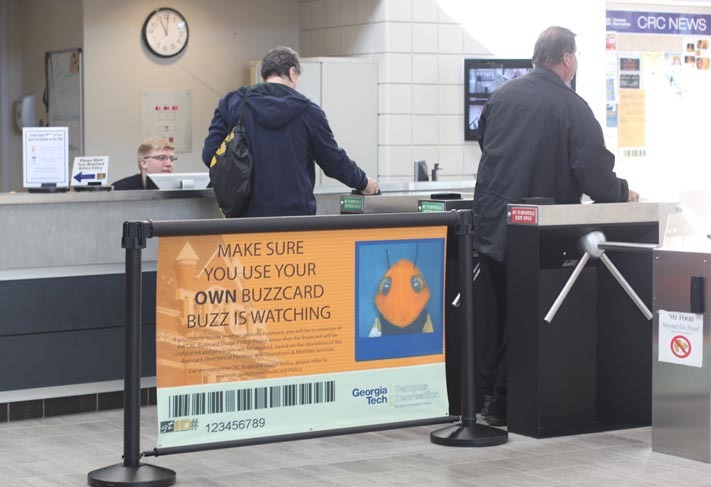 According to the CRC Assistant Director of Communications Sara Warner, these thefts can be attributed to non-members entering the CRC by use of a Buzzcard that has been loaned to them from another member of the CRC. No crime data was provided by the CRC for this observation, however. Warner also gave a breakdown of the major preventive measures the CRC provides for students’ belongings that may be susceptible to theft. For-rent lockers, as well as day lockers in multiple areas of the CRC, are all available for use in the main locker area downstairs by the fitness center. There are also lockers upstairs on the basketball courts, in the aquatics area and in the lobby area. Locking up valuables is the main way to prevent them from being stolen, as most valuables that are stolen are those that are left unattended out in the open. The staff at the CRC is constantly trying to prevent this from happening and attempting to educate members of ways they can help as well. In addition, increased security measures are also being considered. “We are absolutely looking into new technology and new ways that we can improve security here but we need the students to help us out and do their part as well,” Warner said. Although specifics on new technology could not be given because the CRC is in the early stages of trying to acquire it, the current preventive security measures are as effective as they can be. “Theft is our number one crime on campus…you can have all the technology in the world, cameras and what not, but you really have to take the responsibility yourself and to really keep in mind and be aware of where you’re placing your items,” said GTPD Officer Alex Gutierrez. According to Hart, the majority of CRC thefts take place in the afternoon and evening hours. Even though there is no pattern as to where they take place, there are locations in and around the facility that are frequented more than others simply due to the volume of personal belongings left unattended at one time. These include the basketball courts, the fitness center and the turf fields. “The worst [punishment] is that we revoke their privileges for six months when there is a student involved. When they’re not a student, I serve them with criminal trespassing and forbid them from coming back. If they do come back, they stand the chance of being arrested for criminal trespassing,” Hart said.